extraordinary through sport, music and food. Canada’s Great Kitchen Party is built on a solid foundation of bringing people together in celebration and elevation of Canadian culture. We have 13 years of growth and success and have given $15 million to support Canada’s elite amateur athletes. In 2018, the charitable impact broadened so that now three national charities benefit, each associated with one of the three pillars of the project. Canada's health begins in the kitchen. We are proud to share our 2018 impact! The Next Generation is mentored - With our longevity comes unique opportunities for mentorship. This year: Charles Part, the Ottawa gold winner in 2008, mentored Chef Yannick Lesalle, the 2019 national winner! Culinary Excellence is modeled - culinary students from local colleges are given an opportunity to learn from the best chefs in the country. We are helping to build vibrant communities through the power of food. When Canadians can come together, particularly youth, to grow, cook, share and advocate for good food our communities are stronger and healthier. An estimated 3.9 million Canadians are food insecure, unable to access a regular supply of healthy food. At Community Food Centres Canada (CFC), good food is seen as a transformative force in low-income communities, so vibrant, financially stable Community Food Centres are built. These centres offer high-impact food programs in welcoming community spaces that bring people together to grow, cook, and share for good food. 77% of participants say that because of CFC they have made healthy changes to their diet. 95% of participants feel they belong to a community at their CFC and the reduced isolation has an impact on community members mental health. Research shows that kids who learn food skills and knowledge early in life are more likely to develop healthy eating habits as adults. The following Community Food Centres or Good Food Organizations have received funding from Canada's Great Kitchen Party to run a a child or youth with a mentorship element with a chef. Shining the spotlight on the amazing talent and resilience of athletes from amateur, para and pro sports. 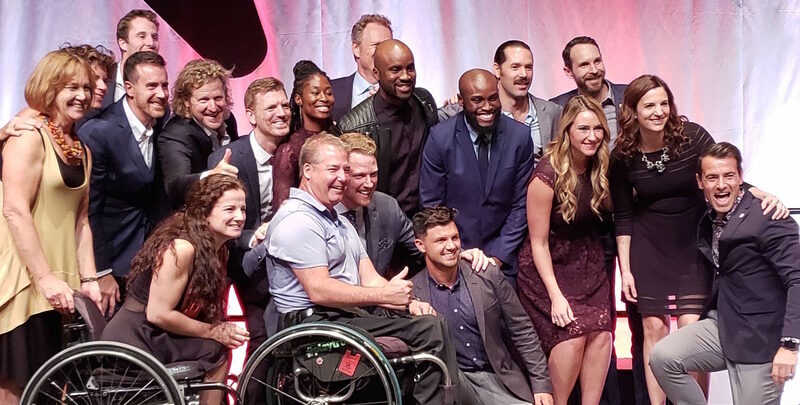 At every event there are 8-40 elite Canadian athletes to meet and have conversations with and on every trip, guests are treated to some amazing storytelling of the athlete's career. On and off the field or slopes, sport teaches long-lasting life and leadership skills like decision making, resilience and teamwork. Kitchen Party funding helps to propel athletes as they train and develop in their pursuit of the international podium and become the leaders of tomorrow. B2ten exists to have significant impact on sport in Canada. Mission: to contribute to amateur sport and the greater good of society by providing optimal training and preparation services to elite amateur athletes; investing in the development of Canada’s coaches and professional service providers; and developing a legacy of enhanced sport, play and well-being. At B2ten we are all about athletes. Relentless in our pursuit to create individualized training so that each has the opportunity to reach their full potential. We further this approach by having the athlete take part in the key discussions that will shape their career. In doing so we believe athletes take greater ownership for their actions. I am very appreciative and grateful for what B2Ten has done for me as a person, and my career as an athlete! in anticipation of the 2019 World Cup in June and 2020 Olympic Games. We look at this initiative with a different lens seeing some twenty individuals, each with different needs. Coach Kenneth Heiner-Moller shares this approach with B2ten which makes for an impactful relationship. With the backing of Canada’s Great Kitchen Party, B2ten is looking for new and innovative ways to contribute to sport in Canada. At Canada's Olympic Park in Calgary we have partnered with Winsport to create one of the best training sites in the world for their athletes. The facility consists of multiple air bags, one of which is football field sized, where athletes, from beginners to Gold medalists, can learn new tricks in the safest way possible before executing them on snow. With a leading-edge training facility at home, the thought here is to create a pipeline of athletes who will be consistently on and around the podium at International Competitions. The past road cycling World Championships was the most successful ever for Canada. While supporting Michael Woods and having him mentor a few younger cyclists, we have also initiated support for the women's road program. Because of the Canadian funding reality, road cycling does not receive any high-performance funding. By creating the individual athlete support programs based on B2ten's individual assessment model, these women are being supported as never before providing new opportunity for women's cycling in Canada over the next 6-10 years. In Athletics, beyond the individual athletes we are currently supporting, we have entered the realm of the 4x400m (women's and mixed). We believe there exists a big opportunity for Canada. The depth appears to be there at this distance however proper training for this event is a challenge whether for Canada and other countries as logistics make things quite expensive for national sport organizations. We look to have an impact on a larger group of athletes and grow what has always been a productive relationship with Athletics Canada. We organize original content events that target organisational behaviours (iDare) and others aimed at uplifting a specific domain of expertise (iShare). iShare focused on Endurance sport: Six renowned international physiologists/coaches came to to Canada to spend three days with 20 of this country's performance professionals to ideate and debate on specific topics and beliefs. B2ten hosted the management team of Cycling Canada along with representatives of their board of directors and provincial leaders. B2ten was there to facilitate building a new approach to purpose and culture. by featuring Canadian musicians at events and on trips. Music transcends barriers and helps to develop positive self-esteem, team-work and leadership. However, more and more schools are no longer able to support the cost of music programs. Kitchen Party funding is bringing the magic of music back to Canadian youth. MusiCounts is Canada’s music education charity and we believe adding music adds possibilities. We see all too often that the children and youth who could most benefit from the transformational power of music are the ones that are least likely to have access to it. 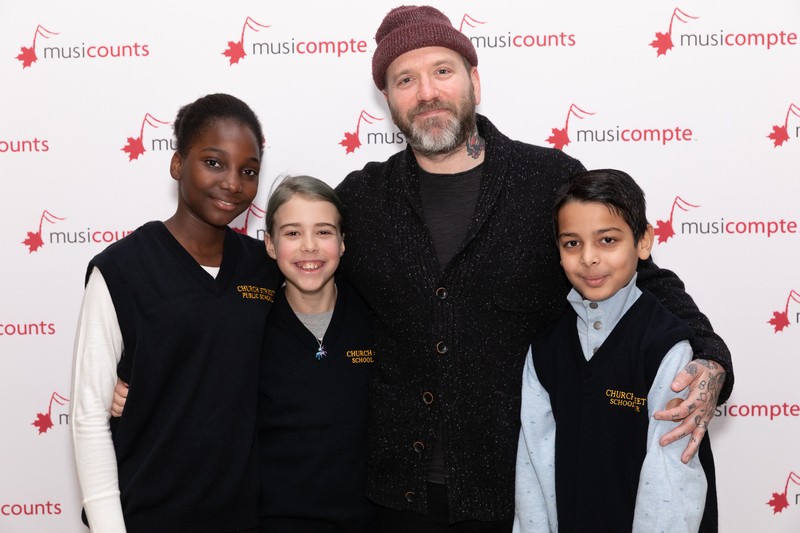 MusiCounts’ partnership with Canada’s Great Kitchen Party (KP) reinforces our shared belief that through music, children and youth can be set on a positive path, that they have the opportunity to be extraordinary. With the tremendous support of KP and its community MusiCounts is providing instruments to 20+ schools each year through the MusiCounts Band Aid Program. Many of the instruments here at JMA Armstrong are unrepairable. Now we can replace what we’ve lost and our music program can continue to grow. MusiCounts supplies and repairs everything from rock and jazz band instruments, string instruments, ukuleles & guitars to recording equipment and hip hop production gear. Archwood school started their band program three years ago, and the community immediately began to take notice. However many of our families are not in a position where they’re able to go out and rent instruments on their own. This grant allows us to get instruments into children’s hands without placing a financial burden on their families and without forcing them to wait and see what’s leftover once the other schools have assigned their instruments.